The Broward County Sheriff's Office announced that it was working closely with the Sanford Police Department and other local law enforcement agencies to implement "a response plan in anticipation of the verdict." I predict that there will be peaceful protests but not a calamitous reaction to the jury's not guilty verdict. The defence called Dr. Di Maio, a forensic pathologist who was a former chief medical examiner and had written an authoritative book on gunshot wounds. His testimony was clear, persuasive, and provided the jurors with a compass to follow the scientific evidence surrounding the shooting of Trayvon Martin. His evidence also vitiated the vastly inferior evidence of the two medical examiners who were called by the prosecution. Dr. Di Maio examined the autopsy, photographic, and toxicology evidence and compared it to the statements of George Zimmerman to the police. He concluded that the medical evidence was consistent with Zimmerman's version that Trayvon Martin was straddling him and leaning forward when he shot him. He refuted the eyewitness account that placed Zimmerman on top of Martin at the time of the shooting. 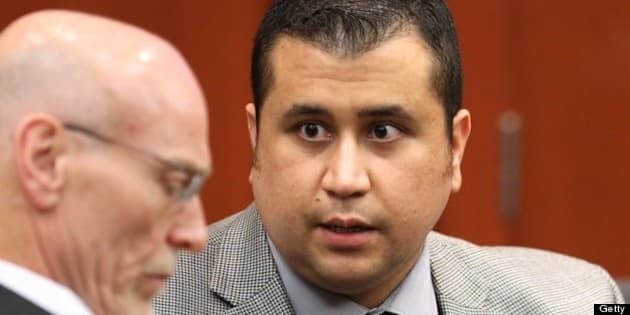 Dr. Di Maio found ''definitive evidence'' of six separate impact wounds to George Zimmerman and referred to wounds to his nose, back of his head and forehead. The lacerations to the back of Zimmerman's head were consistent with his head striking a concrete sidewalk and could be life threatening. Dr. Di Maio's expert testimony provided resounding support for Zimmerman's claim of self defence. The prosecutor's cross-examination of Dr. Di Maio was the equivalent of a concession speech. His singular impeachment of the defence expert's credibility was to establish that he was paid $2,400 for his professional services. Bernie de la Rionda didn't challenge the doctor's clinical conclusion that Trayvon Martin was on top as the shooting occurred. He elicited agreement from Dr. Di Maio that his findings were consistent with Trayvon Martin pulling away and attempting to get off when Zimmerman fired his gun. Dr. Di Maio agreed in cross-examination that he couldn't testify who threw the first punch or whether there was a first punch thrown. Significantly, plausible alternate scenarios will not meet the prosecutor's burden of proof in the case. De la Rionda never contested Dr. Di Maio's findings of the significant injuries sustained by Zimmerman. In a desperate question, he asked Dr. Di Maio if a tree branch could have caused the cuts and lumps to George Zimmerman's head. Dr. Di Maio agreed but noted in response that he didn't see any tree branches at the scene. The Sanford City Manager, Norton Bonaparte, testified about inviting the family of Trayvon Martin to listen to the 911 call containing the screams for help prior to the call being released to the public and media. The mayor was also present for the meeting at City Hall and law enforcement officials were requested not to attend. The playing of the tape and any of the family members' reactions weren't recorded. This tainted and unreliable group voice identification of the 911 call will be highlighted by Mark O'Mara in his closing statement. Eloise Dilligard testified that she arrived at her neighbourhood after the shooting and observed George Zimmerman's ''nose was very disfigured'' and that his face was covered with blood. She described the location of his truck that was consistent with Zimmerman's account to the police. Dilligard was also the first defence witness who wasn't a friend of the defendant who identified his voice screaming for help on the 911 call. The Broward County Sheriff's Office announced that it was working closely with the Sanford Police Department and other local law enforcement agencies to implement "a response plan in anticipation of the verdict." A key benefit of televising the trial is that it fully exposed the hollow prosecution case against George Zimmerman and the frailties of the alleged incriminating evidence. I predict that there will be peaceful protests but not a calamitous reaction to the jury's not guilty verdict.